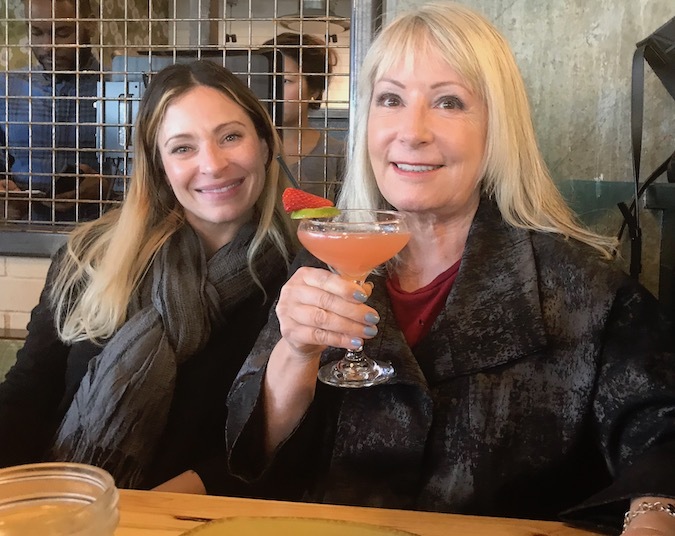 These successor trustee sellers did not know which agent to hire but they knew they wanted an experienced Sacramento Realtor. So, they went to a referral service that refers top producers in exchange for a piece of the action from the agent. This particular company sends seller’s information to a bunch of top producers and they let the agents fight it out to get the business. Carmichael Pool Home in Shelfield Estates at a Great Price! Finally, the pool home in Shelfield Estates I’ve been working on is ready for the market. We just went “live” in MLS last night around midnight. Such a tremendous property, and I’m very excited, thrilled actually, that the sellers chose me to market this home. It is a successor trustee sale, as many of my listings seem to be lately. 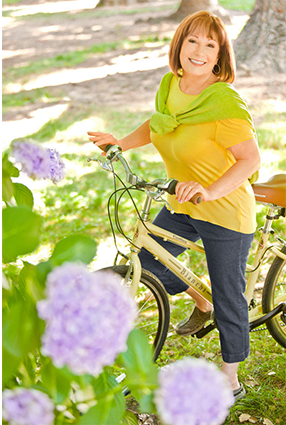 My hope is a buyer will love the home as much as I do. It’s so much easier for a listing agent to market properties when the agent feels passionate about the home as well! 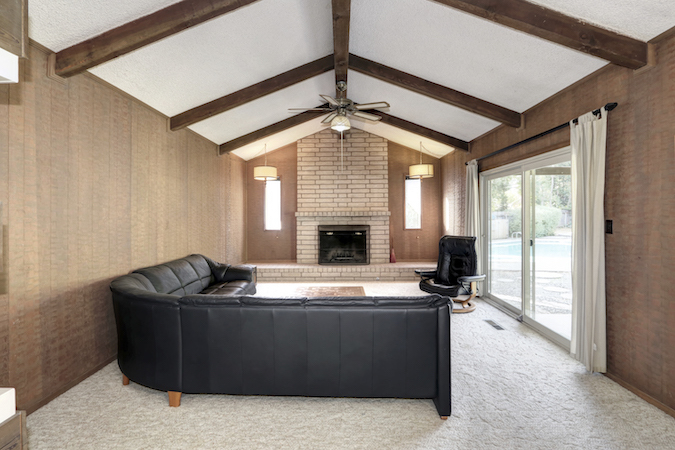 What makes this home unique, apart from the fabulous price for this neighborhood, is the fact it’s a Mid Century home with many original features. Of course, we know some buyers will rip all of that out, but others love the purity of the style. It’s a single-level, with parquet floors off a ceramic entry. This Carmichael pool home in Shelfield Estates is superbly oriented in a wonderful location, nestled on a quiet cul-de-sac. Shelfield Estates is a sought-after neighborhood in Carmichael, made up of mostly larger sprawling estates with many trees. The formal living room above features built-in shelves and a rock fireplace. 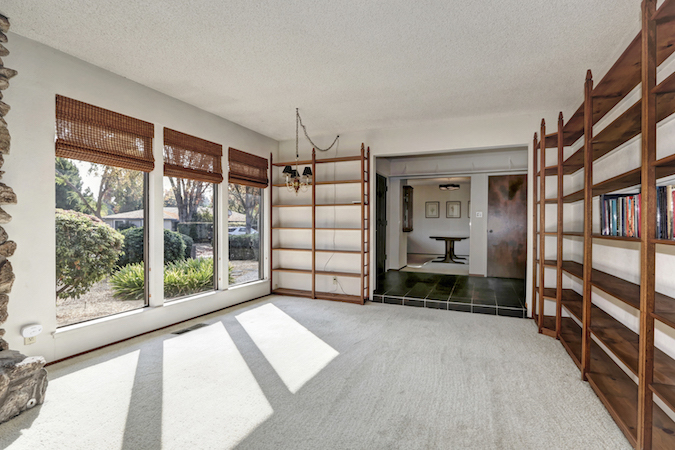 Across the entry way, you can view the separate formal dining room with grass cloth walls. 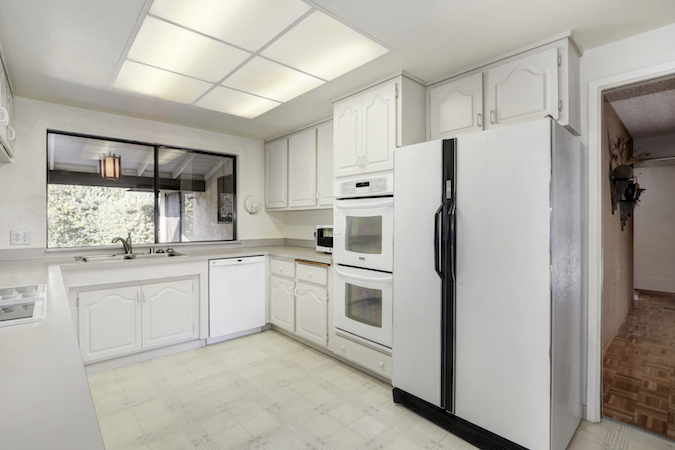 Look at this beautiful all-white kitchen. I suspect somewhere along the line the cabinets were upgraded or recovered, and some of the appliances are somewhat newer. Wow, a double oven! It features an open floor plan with a family room / kitchen combo, sort of a great room concept. Will you want to remodel the kitchen at some point? Most likely, knowing tastes today and, if you do, you can budget for that remodel when you buy this house. With a Guild Mortgage renovation loan, you can roll your remodeling monies into one purchase-money mortgage, easy-peasy and it can close in 30 days. The family room has wood walls that the only way I think to describe them is hammered. As though a combination of hammer and wood chipper made those walls. Do you like the beam ceiling, Roman brick fireplace, not to mention the beautiful view outside of the pool? There is also a wonderful view of the pool from the enormous master suite. 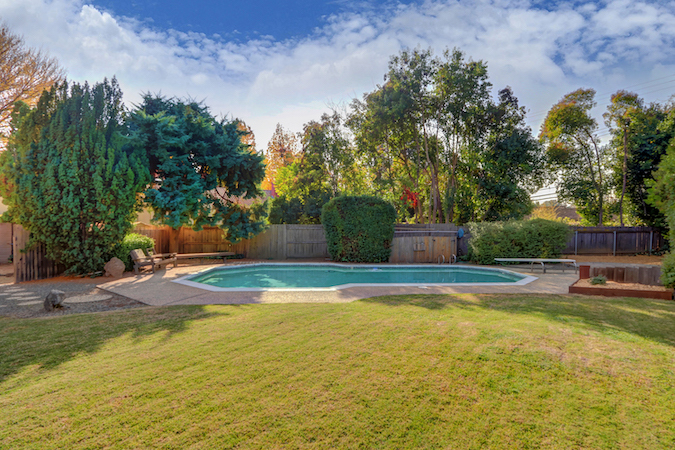 Check out the gorgeous back yard of this Carmichael pool home in Shelfield Estates. So private, too! The yard is almost 1/3 of an acre, and the square footage, according to the Sacramento County Assessor is 2,342. You will find four bedrooms and 3 baths, a great layout. Other homes in this neighborhood are selling over $750K, but this home has been discounted to allow for the improvements a buyer may wish to make. Remember the adage in real estate: location, location, location! You can remodel a kitchen or bath but you can’t change location. Don’t take my word for it. Come see for yourself at our open house on Sunday, December 2, from 1:00 to 4:00 PM. Or, check out the virtual tour. 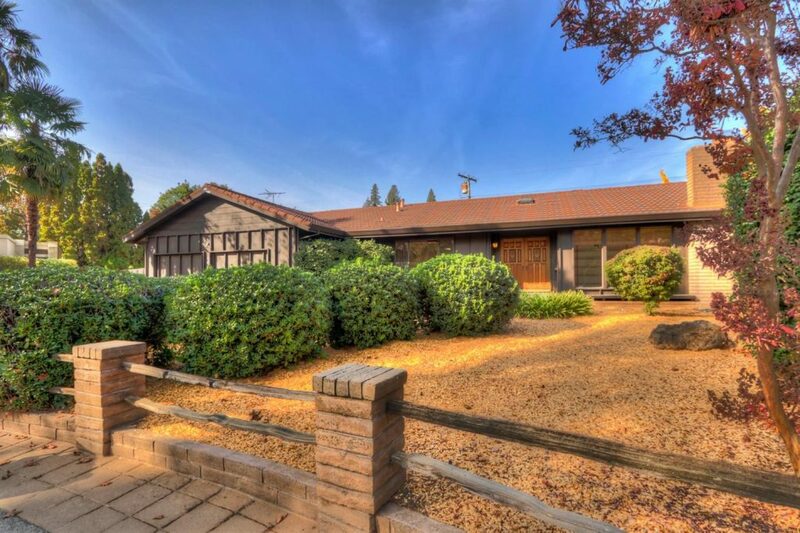 2023 Lux Court, Carmichael, CA 95608, is offered exclusively by Elizabeth Weintraub and Lyon Real Estate at $674,950. Call Elizabeth for more information or a private showing at 916.233.6759. You would think if you were a Sacramento appraiser trying to get noticed online, that a guy like that would be more careful about what he says and how he says it. It started last spring over a home in Carmichael I had briefly listed, which had been the unintentional topic of many alt-right news reports. The Tweets from the Sacramento appraiser eventually made it to the Sac Bee online news. Due to the orchestrating of bringing proprietary information not meant for public consumption to the public by the appraiser. In other words, look as though this Sacramento appraiser made it his business to Tweet about a member-only status in MLS with the intention of purposely igniting the alt-right. And ignite the alt-right he did. Whether he is an official Trump supporter is only a hypothesis mentioned by others, but this person seems to show a lot of empathy for that group. Yet it seems that his ability to poke his nose into situations that are not his business know no bounds. He obviously flagged the property in question in MLS and when a status change showed up, he Tweeted about it in such a manner that the seller says he caused her mental anguish and physical pain. The status change was to Temporary Off Market, which is only available to members of MLS. It means this seemingly right-leaning Sacramento appraiser crafted a Tweet about a property he had no right to Tweet. His intention was self promotion. This was not his listing. He did not appraise this property. The seller believes he abused his MLS membership by taking private information and making it public without permission. At the time, I had the property listed and put it into TOM status for a number of reasons. For starters, the seller, her agent and her agent’s company began to receive vile threats and emails from all over the country, thanks to this appraiser. This guy’s effort to make a buck off somebody else’s distress is frightening. He jumped right in and added fuel to the burning fire. People threatened to literally burn down the house because of this Sacramento appraiser’s Tweet. When I originally listed the property, it was a bit high. The seller based her price on another property on the same street in the same vintage condition that sold a couple of years ago. Sometimes, vintage homes fetch prices you won’t believe. My method of operation is to always try to get the amount the seller would like, within reason. And with the understanding that if we can’t get it, the price will be adjusted. 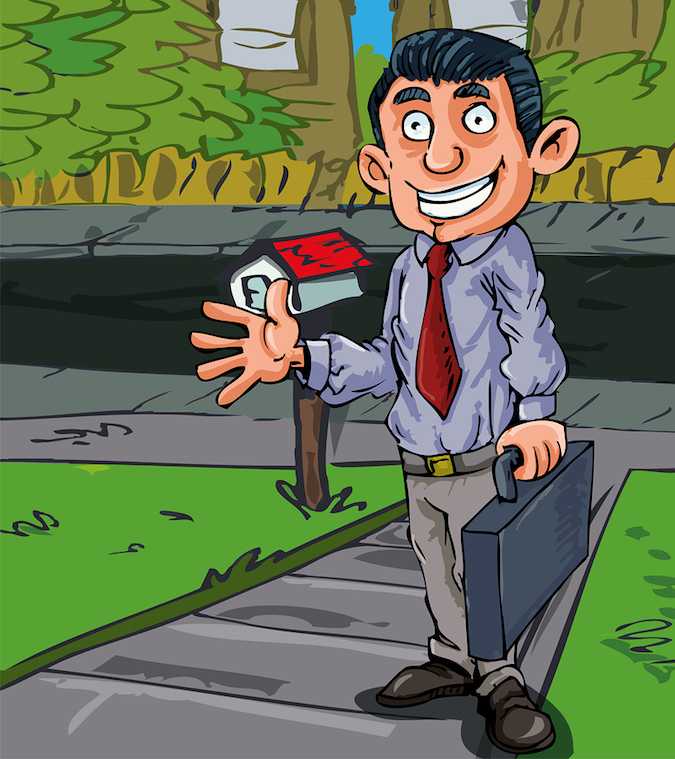 After we placed the property in TOM status, I had several discussions with the seller about reducing the price. Based on her reaction, I could see this would be a long process. Months. At this point, the seller also wanted me to file a complaint against the Sacramento appraiser at the California Bureau of Real Estate Appraisers for unprofessional conduct. For putting his own personal profit ahead of decency. I could understand the seller wanting to report him, but my part in this was not required. His participation in the false supposition that the seller lost $130,000 because she refused to sell to a Trump supporter was way off base. She dropped that stipulation months earlier. But perhaps the seller should pursue her $130K loss in court? If it’s on Twitter, it must be true. I guess a case could be made by an astute lawyer that the Sacramento appraiser caused her to lose that money. I’m not a lawyer so I wouldn’t know. 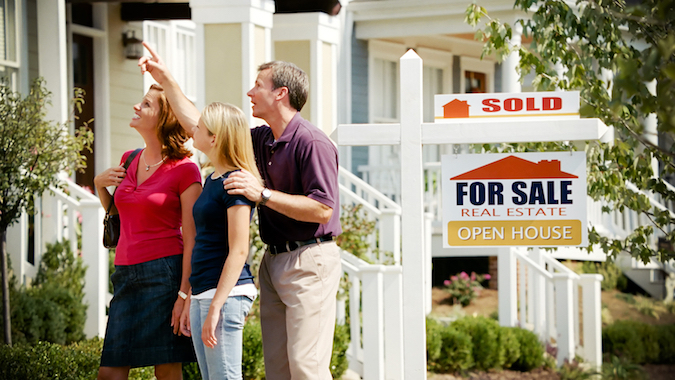 Instead I suggested the seller contact a lawyer, and I sent her several referrals. Alt-righters and White supremacists were threatening to burn down the house, among other distasteful actions. A Sacramento appraiser who won’t stop tweeting, regardless of how much damage he causes, about matters that are not his concern. A seller who needed a lot more encouragement to reduce her price to where it needed to be, and the fact that this high maintenance issue was eating up all of my available time and then some. The seller didn’t use a computer and lived out-of-town. Every conversation lasted at least an hour, almost daily. Listing was too high publicity. The seller deserved a fresh start because my marketing and branding were too easily recognizable. It was best for the seller to let a new agent at a different company handle this.